Royal House Casino Review - 180% Bonus over First 3 Deposits! Royal House Casino offers luxury and elegance, with their easy to manoeuvre pages and extravagant bonuses. So let Place a Bet Online show you around this glamorous house, to see why it could be the perfect place for you! Let’s begin with the games, which are incredibly easy to find on the main page. There’s something for everyone here including casino games, progressive jackpots, scratch cards and video slots from the top providers; such as Thunderstruck and Jimi Hendrix. If you love the atmosphere of the live casino, then check out Royal House Casino’s live dealer games. Feel the buzz of excitement you can only get from the casino floor, whilst you’re sat on the couch with a brew. There’s plenty to choose from including Blackjack, Roulette, Poker and Baccarat. 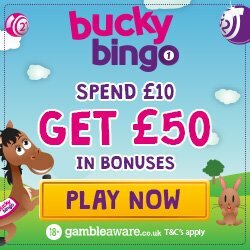 •	1st deposit, 100% cash match bonus on amounts between £10 and £200; plus 25 spin on Starburst. •	Offers pay by phone bill. Luxury should be available to you whenever you want it, so you’ll be delighted to hear that Royal House Casino is available on mobile. All you need is an Android, iPhone or Windows device and you’ll have top class games in the palm of your hand. 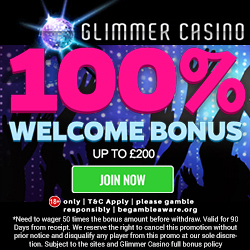 1st deposit, 100% cash match bonus on amounts between £10 and £200; plus 25 spins on Starburst. 3rd deposit, 50% cash match bonus on amounts between £10 and £500. Monday Madness – Probably the worst day of the week, let Royal House Casino change that with their Monday Madness offer. Quote MONDAY when you make your 1st deposit and you’ll enjoy a 100% cash match bonus up to £50. 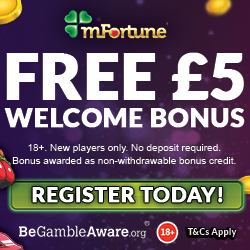 This means that if you take advantage and add the maximum amount, you’ll receive a grand total of £100 to play with. If that’s not enough for you then if you follow it up with a 2nd deposit, you’ll receive a 50% cash match bonus up to £100 by quoting code MADNESS. Cash Back Thursdays – Add a minimum £30 on a Thursday and you’ll receive casino cashback; so whether you win or lose you’re always getting a little something. This is just a taste of what you’ll find when you click onto the promotions tab! Their regular players are important to Royal House Casino, so they offer a VIP room to give them additional bonuses and rewards. To take advantage and enjoy these little perks, you simply have to play and you’ll move through the five VIP levels (bronze, silver, gold, platinum and diamond). Of course the higher the level the bigger and better the rewards, which include personal account manager, personalised gifts and anniversary bonuses. Should you require any additional support, then you can contact a Royal House Casino representative via live chat and email. They aim to respond within two hours, but this can be longer during busy times or if the issue is complex. They accept the usual Credit and Debit Cards, Neteller, Paysafe Card and pay by phone bill. If you’ve never used the pay by phone option before, then this is the ability to deposit and add the amount to your mobile contact; to be paid off when the bill is due. You only need to provide your 11 digit mobile number and verify that you accept this form of banking. There are a number of currencies accepted by Royal House Casino, which include GBP, Euro, Dollar and Australian Dollar. To enjoy a touch of regal luxury, simply head over to Royal House Casino and register.